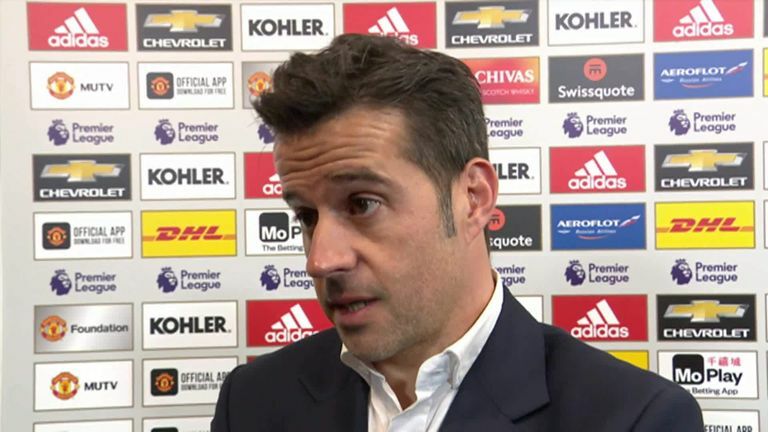 Marco Silva strongly feels the decision to give Manchester United a first-half penalty in their 2-1 win over his Everton side was wrong. Anthony Martial went down in the penalty area under a challenge from Idrissa Gueye midway through the first half at Old Trafford, though slow-motion replays suggest the Everton man did get a touch on the ball. 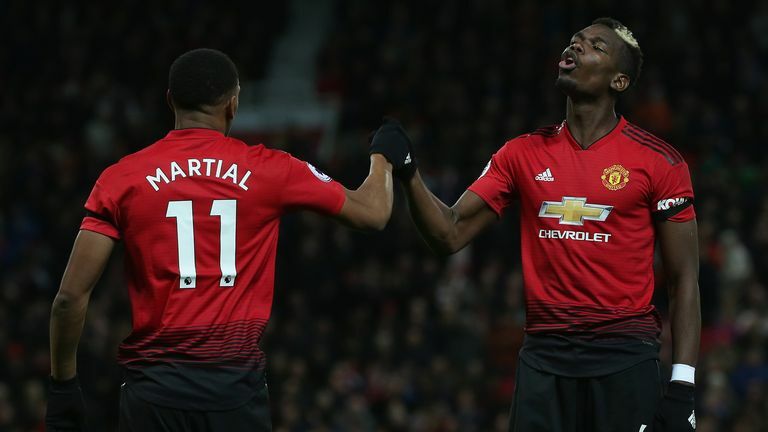 Pogba saw his penalty saved, but slotted home the rebound, and Martial scored again in the second half before Gylfi Sigurdsson halved the deficit with his own spot kick. Silva felt aggrieved with Jon Moss' decision, however, and feels it changed the balance of the game. He told Sky Sports: "Every time we had the ball we created problems for them, the game was really balanced, and in that moment, for me it looks like no penalty. It's clear. "My player told me it's clear he touched the ball. It's a difficult sensation for us, because when you come here to play a strong side, one moment like that starts to make things easy for our opponent. "The referee is there at that moment. It looks like my player touched the ball, I think it's not a tough decision. In that moment, just one decision, yellow card to Martial." Having won three Premier League games on the trot, Everton once again came away from a top-six side with no points having also seen chances go missing at Arsenal last month. Silva recognises his side need to be more clinical, having caused United problems in both halves. "Like we expected, it was a tough match. But like I promised, we came here to win the match. It's our way, the only way we're working so far. "I don't want to put all the excuses on the referee, because when you play against one team like Manchester United in their stadium, like we did against Arsenal, and create five, six chances to score and don't score, it's not because of the referee. "I think we have to do better in some situations if you keep creating chances to score goals."